Hello Dealsnloot Readers,New offer where you can try your luck and get a amazon voucher of rs 200 for free for every day. 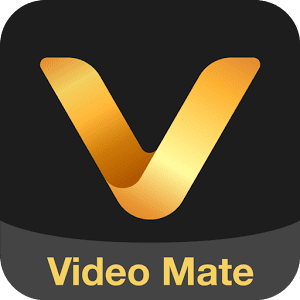 We found a new app name video mate where you can try your luck. Not only amazon voucher you can get a chance to win a trip to bangkok for free with other precious prizes are also there.Yes guys you heard very right free amazon gift voucher daily. We are always looking to you serve you in the most unique way. Ok here I revealing the most easiest way to earn free amazon gift voucher which is a limited promotional offer from VMate. So Follow Few Steps TO Know How To Get Rs 200 Amazon Voucher For Free For Daily. 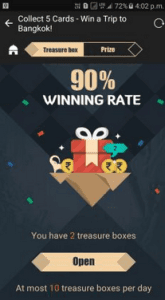 How To Earn Rs.200 Amazon Voucher From VMate Loot ? 2. Then Open The app and Look for Banner Given Here. and Click On It. 3. Now you will see one more banner “GET MORE CARDS”. Click On It. 4. Now Login your Facebook account. 5. 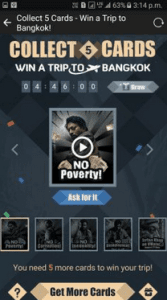 Then Click on “Get More Cards” again and press back button. 6. There is No need to share anything on facebook wall. 7. Repeat above step 9 more time, Every time you follow, 1 treasure box will get added automatically. 8. Stop once you reach to total 10 treasure boxes. NOTE : Daily 10 Chances Only. 10. Hence Open your treasure box one by one. 11. You will get Cards sometime, Sometime you will get nothing, Sometime you get Rs.200 AMAZON VOUCHER. 12. You have 10 treasure boxes in a day, if you are lucky then you will get your Amazon Voucher. 13. If you are lucky, then you will get Instant Rs.200 Amazon Voucher. You can see it in your Prize Tab Too. Click On Get More Cards Then Facebook Share Window popup. To Get You Share Or Referral Link. You should have one or more Facebook account to use Vmate app unlimited trick. then here you have to create a new account in VMate app to enjoy. Just follow our given steps if you want to earn unlimited vouchers. Finally you will get voucher if you are lucky. If you fail then try, try and try & it works for me.